"You don't have to be sick!" We teach the living foods diet of Genesis 1:29 and help you discover how to naturally resolve sickness, pain, fatigue, weight problems, etc. by improving your diet and lifestyle. 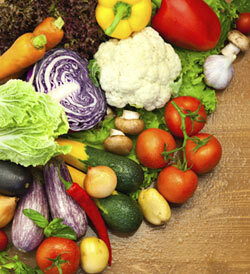 Learn the basics of living nutrition, and what it can do for you. Learn the mechanics of keeping a natural kitchen and an organic garden. Share in videos, books, livine food demonstrations, guest speakers, workshops, and special events.